Yoga 4 Change is a nonprofit organization bringing a trauma-informed yoga curriculum to underserved populations in the Jacksonville, Florida area. 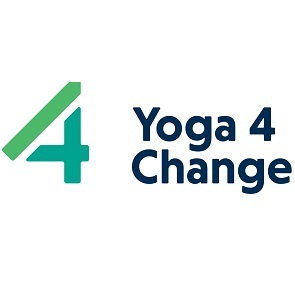 Established in 2014, Yoga 4 Change has grown from one single teacher, to a team of sixteen teachers, teaching an average of twenty-one classes a week, fifty-weeks a year. In 2016, the organization taught over twenty – thousand different individuals ways to overcome their traumatic past and contribute back to society. The organization was having difficulty describing exactly what made them different from a yoga studio, as this was a misconception from the community. This assumption as to what the organization accomplished led to difficulty when attempting to obtain donations and grants. Because of the Value Mapping™ process, the founder/Executive Director was able to better communicate the purpose of the organization, as well as the the process of how the organization ran programming, and the impact the organization was having on the community at large. This transition from attempting to differentiate from a yoga studio, to communicating the impact and purpose of the organization, directly led to securing $70,000.00 in grants and donations in one week allowing sustainability and growth. Seeing the direct financial impact of Value Mapping™, the board of directors and teaching team had an idea of how to better speak about the organization’s work, rather than feeling the need to constantly differentiate. This has allowed for an increased understanding of what the organization is up to in the community, and increased the community engagement in both donations and support.